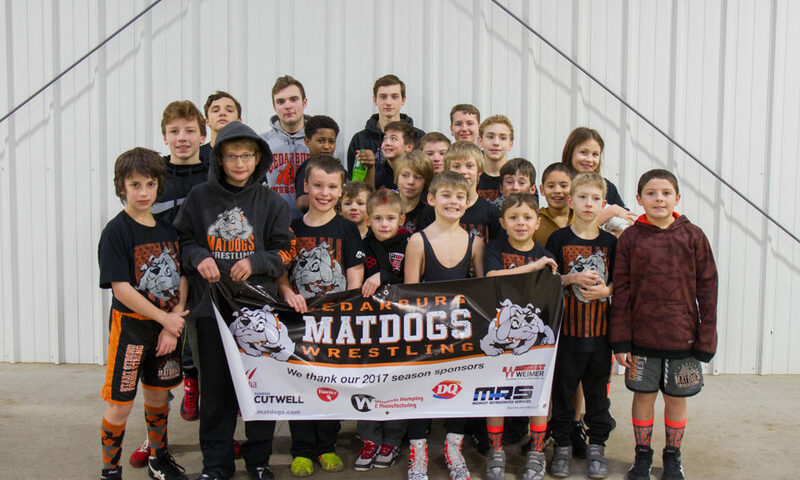 The Matdogs traveled to Madison this past weekend. Saturday was the team dual. We had two teams participate 2nd-5th and 5th- 8th. They wrestled some of the top teams in the state and a Michigan team. The Junior Dog team took 7th in their division. The Senior Dog team lost first round, tied an AWA team and defeated a team from Michigan while wrestling in the Elite division. They should all be very proud of the effort they gave! Sunday was the individual tournament with 7 Matdogs participating. Kaitlyn competed in the women’s division. Great job by all! Thanks parents and families for getting your kids there and your support. Also, thanks coaches Matt, Todd, Richard and Webster Coach Fujinaka for coaching.